Feel the excitement as you are lifted over the waters in our plush Cessna seaplane, for a 40 minute tour of Dubai’s remarkable skyline. Enjoy views of the opulent Burj Al-Arab, Palm Jumeirah and The World Islands, a stunning archipelago of islands designed to resemble a map of the world. Fly along the coast and capture the mesmeric beauty of the ribbon-like Dubai Creek, on your camera before landing back on the water. 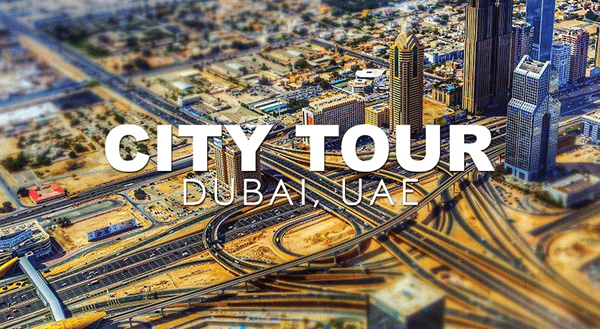 Descend over the waters of Dubai Creek and proceed to a Private Heritage Tour of Dubai. Discover the many attractions which include the famous spice market and the city’s oldest buildings. Listen to tales from a bygone era and get a real flavor of the true heritage of this modern city. Cruise along Dubai Creek on a traditional ‘abra’ boat across the water to explore Dubai Museum and the atmospheric Al Bastakiya quarter. Walk through the alleyways of souks and Al Bastakiya while you listen in wonder to your guide’s chronicles of the Arabic traditions and enjoy a traditional Arabian lunch. Afterward, choose to leave your guide here so you can explore independently, or end your tour with a drop-off at Dubai Mall. Take your pick from two convenient take-off locations, Jebel Ali or Dubai Creek. Soar into the sky on our state-of-the-art Cessna seaplane that takes off and lands on water. Carefully crafted to include all Dubai’s iconic attractions, the Dubai Silver Air Tour is our most popular sightseeing tour. Spend 40 minutes soaring over the attractions in Dubai, with large private windows ensuring intimate views at all times. Enjoy stunning vistas of Dubai’s most well-known attractions such as Burj Khalifa, the sail-shaped Burj Al-Arab Hotel, Palm Jumeirah and The World Islands, the impressive 300 islands archipelago, built to resemble a world map. 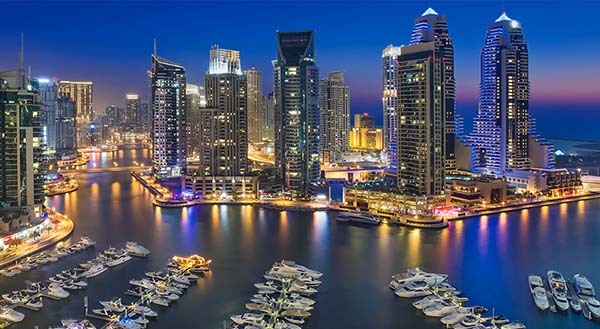 Fly low over Port Rashid and Dubai Creek and admire the fleet of luxury yachts at Dubai Marina. Fly over golden beaches and lush green golf courses. 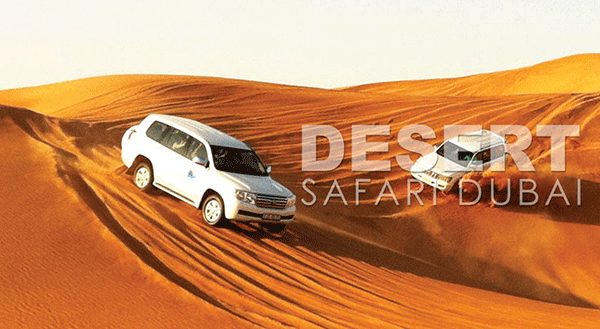 Return along the coast toward Jumeirah and Dubai and glide back over the waters where your tour originally began. 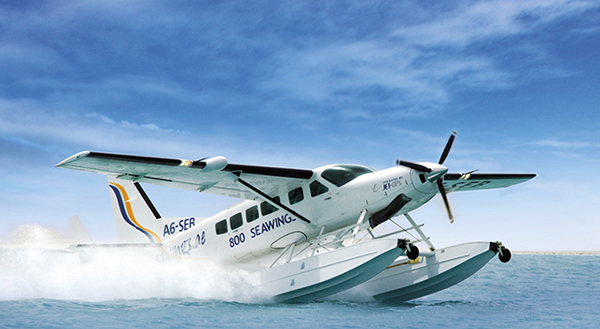 Take off to an unforgettable experience with Seawings seaplane tours. Imagine gently taking off from the pristine waters of Dubai on a Seawings seaplane and slowly ascending to the skies. Peer out of the window of your spacious cabin, only to see the most astonishing view of the picturesque Dubai skyline. Observe every architectural detail of the topmost point of the world's tallest building - the Burj Khalifa, a spectacle that is positively invisible from the ground. Witness the marvelous design of the man-made Palm Jumeirah Island - a visual extravaganza that can be seen only from the sky. Seawings offers once-in-a-lifetime aerial experiences that you will want to relive every time you are in the UAE. All tours and routings are subject to change for reasons of safety or for operational reasons as determined. All passengers must bring an original passport or UAE national I.D. card to check-in, in order for security regulations to be met. Available also for transfer from Dubai to Other Emirates. Rates are available upon request.